When people ask me what my husband does, I typically shrug a bit and say that I don't really know. Of course I can tell you about the company, his job title, the long hours that he puts in or how much I dislike it when he has to travel, but as for what he actually does, I'm not 100% sure. 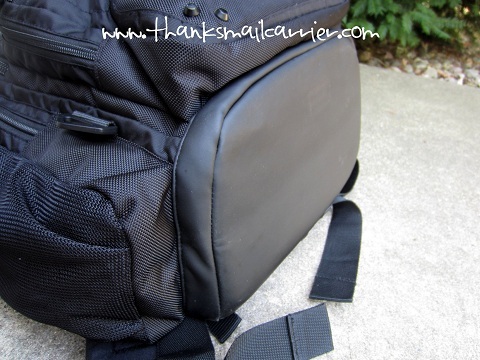 What I do know, however, is that the combination of a large amount of paperwork and his laptop means that my husband is constantly toting a bag full of his necessities across the city... as well as across the country for his trips. That means that bag needs to provide organization and accessibility at a moment's notice, while also being extremely well made and high quality so that it can withstand all of the use. Which is why I knew that there was no other brand to rely on than Targus. After the invention of the laptop case over 25 years ago, Targus has continued to advance the mobile accessories category with innovative and relevant solutions for today's mobile lifestyle. Whether you need to do more, stay connected socially or express your life at work and at home, Targus has the products to enhance productivity, connectivity, and security with the utmost convenience and comfort. 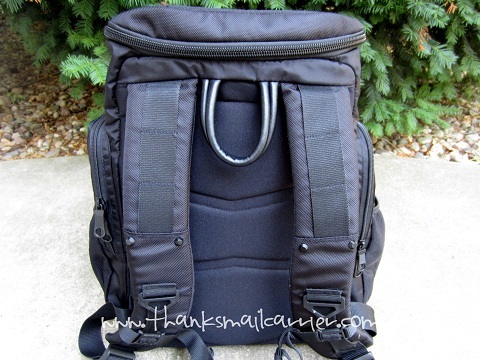 When the Targus Demolition 17.3" Backpack arrived, I knew that it was going to provide all of those features and more for my husband. 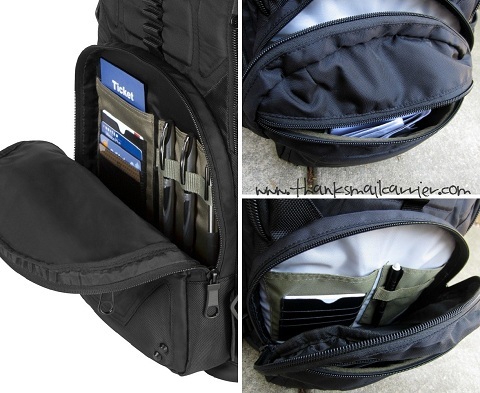 Designed to fit laptops up to 17.3", this bag includes just enough rugged style that it would work for heading outdoors for a hike, yet the compartments, storage and pockets ensure that it is perfect for work as well. On the outside, there are two smaller front pockets for pens, pencils, small accessories — there's even a business card holder for extra organization! I appreciate that the padded front zipped compartment features a soft, interior scratch-resistant lining to store fragile accessories such as glasses, a phone, and more. Anytime that there is less chance of our belongings ending up scratched or damaged is a nice bonus in my book! 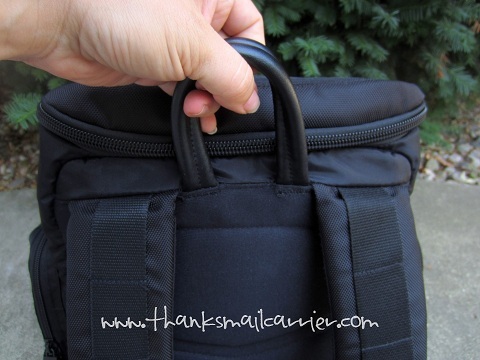 Along both sides of the Demolition 17.3" Backpack, there are longer storage pockets, which have been great for stashing accessories of all kinds (my husband's laptop power cord now has its own designated spot). 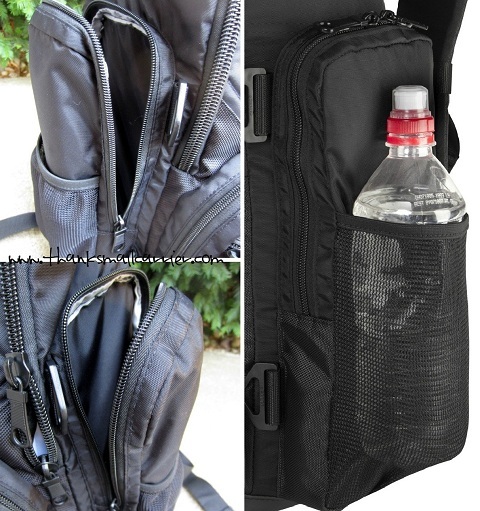 There is also a mesh pocket on each one that makes for easy access to a water bottle wherever and whenever you need it. When it comes to the main section of this backpack, Targus has included more than enough room to make this the go-to bag for just about anyone. 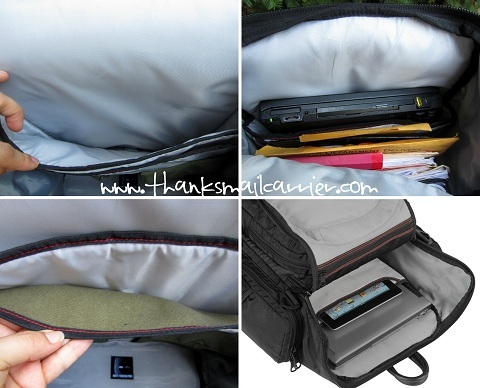 Along the back, the deluxe padded laptop compartment not only provides a safe place for a laptop, but also features a dedicated, protective, lined tablet/eReader compartment so that your iPad or Kindle can come along as well. 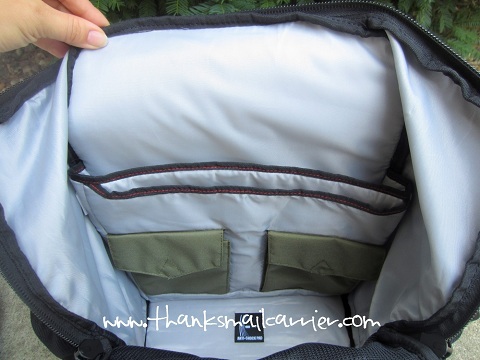 The zippered mesh pocket on the flap and the two enclosed accessory pockets are more examples of the thought that Targus put in to ensuring that users have a place for all of their items, big or small. 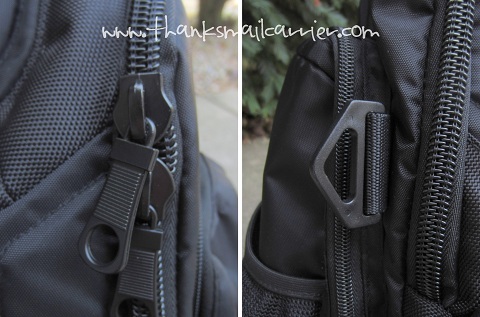 At the same time that this backpack keeps your items safe on the inside (there is an anti-shock pad at the bottom to reduce impact), it protects them from the elements as well with its durable, water-resistant bottom panel. I love this addition, as you never know when you will accidentally put your bag down in a hidden puddle or have the person in the airplane seat in front of you spill their drink down onto your belongings. 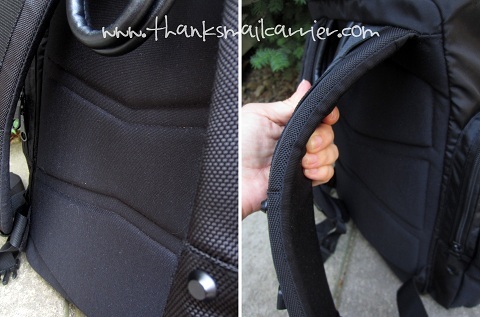 My husband has made multiple comments on the amount of padding the Demolition Backpack includes in the ergonomic back panel as well as the adjustable shoulder straps. This is not just another backpack that pulls on your shoulders and causes backaches and pains, it really is comfortable for short or long durations. ...it also means that, when worn, the handle presses into the user's upper back. Although my husband has no intentions of discontinuing his use of this bag, he has hopes that a future model will have the handle located in a different position so that this doesn't occur. 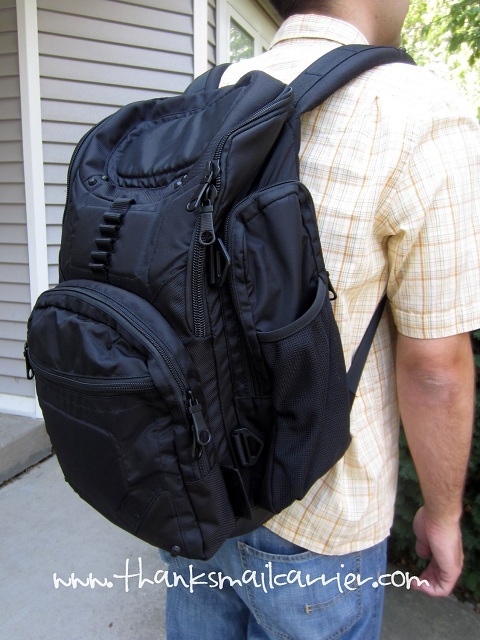 Other than this one issue, the Targus Demolition 17.3" Backpack has proven to be a stylish, durable, convenient, roomy bag for travel, work or outdoor use. It is easy to see that this is one piece of gear that is going to last for many years to come! Retailing for $99.99, the Targus Demolition 17.3" Backpack can be purchased directly from their website or on Amazon.com. No matter if you need a way to carry, power, control, share or connect with your technology devices, Targus will have the ideal solution — big or small. Be sure to connect with this innovative company on Facebook and Twitter as well... and wait! 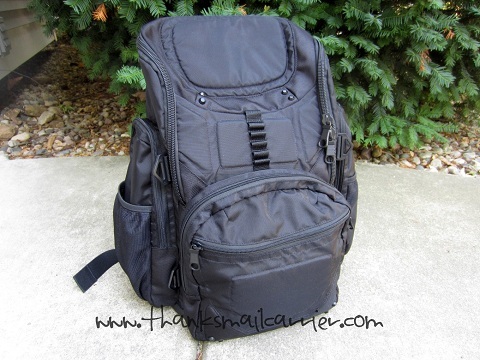 If you think that the Targus Demolition 17.3" Backpack would be a great fit in your life also, head over to Rave & Review, see their review and enter to WIN one! One minor issue with a ton of awesome features! It looks like a fabulous bag for those that travel. Wow they thought of everything with this back pack, I like it!! this backpack was very well thought out. Love plenty of pockets drink holder. This bag looks awesome! Thanks for sharing your comments! This would make a great backpack for my oldest grandson. I love all the room and padding it has to keep things protected. What a great christmas present this would make. The Targus Demolition 17.3" Backpack looks very nice. Thanks for the interesting and informative review!